Occurring in just a single place all across the globe, Tanzanite is a relatively recent discovery. 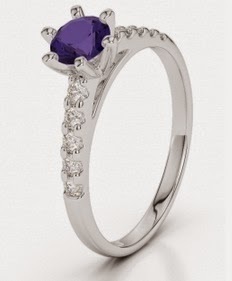 Nevertheless, Tanzanite is currently the second most popular blur stone after sapphire and is available in a variety of sizes. The glorious blue color of the stone makes it the perfect gemstone to be integrated into an engagement ring. Further, heating improves the color of the stone making it even more desirable. For girls born in December, Tanzanite seems to be the ideal birthstone that will accompany your personality and boost your confidence. While Tanzanite doesn’t have a historical association with strong power sources, it compensates the deficiency through its rare beauty. The colors range from purple to blue, come in vivid saturation and though command premium pricing, can be a lot cheaper than sapphire. Today, tanzanite has been replacing sapphire in engagement rings across the globe and if you are looking for something special for that special girl, a tanzanite could be as good as it can get. 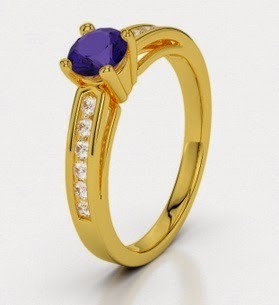 Here is some unique engagement rings design revolving around tanzanite that could be worth a buy. Three of the most precious and beautiful elements combine beautifully in this incredible engagement ring. 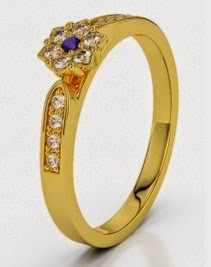 A frame of yellow gold metal, this beautiful ring has a 0.50 Ct round Tanzanite in the middle and complimented by 6 smaller round diamonds on either side. All the stones have a polished round surface and are comfortably supported by the gold frame. This is a rind any girl would die for! 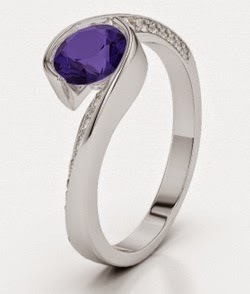 Made from white gold, this ring bears a total 0.60 Ct of round cut diamond and 0.50 Ct of Tanzanite. 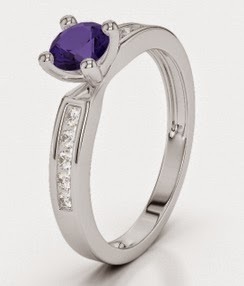 The ring showcases an amazingly crafted crown out of the white gold wherein the tanzanite gen has been integrated. Diamond stones complete the look. Tanzanite and diamonds set upon yellow gold have never looked as beautiful as in this engagement ring. The center design features a small flower and well complimented by gold lining and diamonds to support it on a round rind. A beauty of a design, this will look good on any girl. This is what marriages are for! 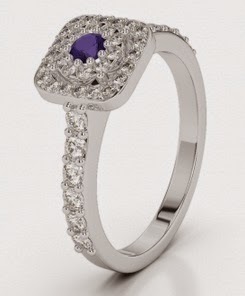 This engagement ring for women carries 0.06 Ct of brilliantly cut diamond and 1.00 Ct of tanzanite. For your December girl, there couldn’t be a better gift. A royal touch to the ring finger, this piece of exotic jewelry has been crafted from 0.45 Ct of diamond and 0.10 Ct of tanzanite. Set upon white gold, this design offers a brilliant finish and is something that no one would ever like to part with! This engagement rink supports a relationship of a lifetime! Another excellent piece of jewelry from AG & Sons UK, this engagement ring imbibes in 0.40 Ct of diamond and 0.50 Ct of tanzanite stone weight. Plastered upon white gold, it has also been integrated with a gracious design that will make any girl look like and angel. If you have been looking for the perfect ring for your December girl, it couldn’t get better.